any of the South’s youth sailing programs had their start at a yacht club. 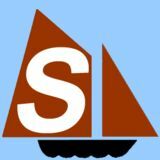 Then community sailing associations became more and more popular. Now, other organizations—such as churches, governing bodies and even military bases—are becoming involved in these endeavors. 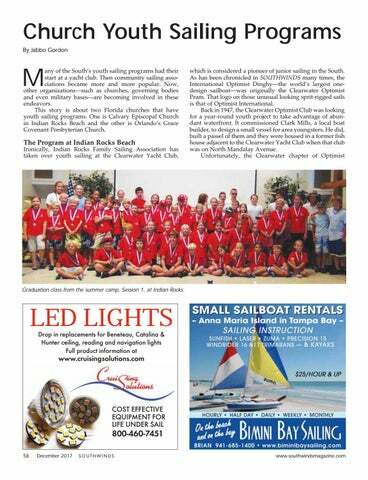 This story is about two Florida churches that have youth sailing programs. One is Calvary Episcopal Church in Indian Rocks Beach and the other is Orlando’s Grace Covenant Presbyterian Church. Graduation class from the summer camp, Session 1, at Indian Rocks.